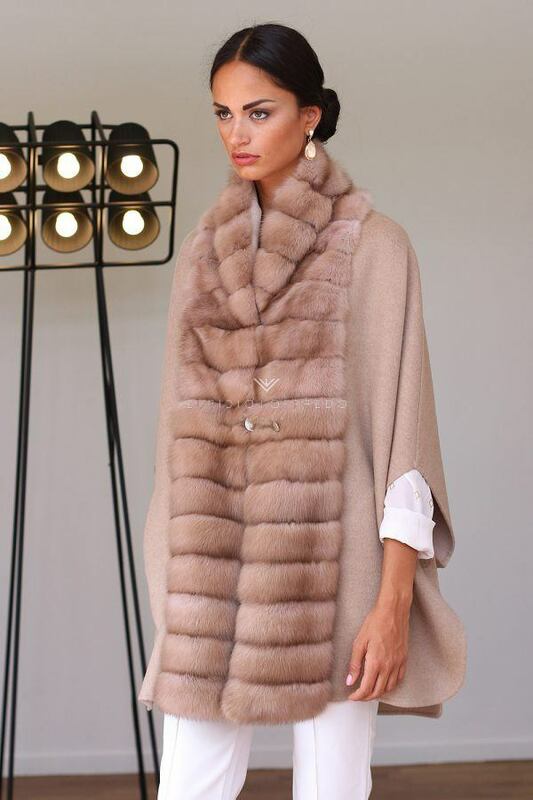 The Elpidio Loffredo fur capes are made thinking about the comfort and usability for their customers. Each model of fur cape is studied in detail to make everyday use more comfortable. The type of fur most used to create the fur cape is the fox, or the mink when the customer wants to have a more screwed effect. Fur capes are a chic way to wear fur in any occasion. 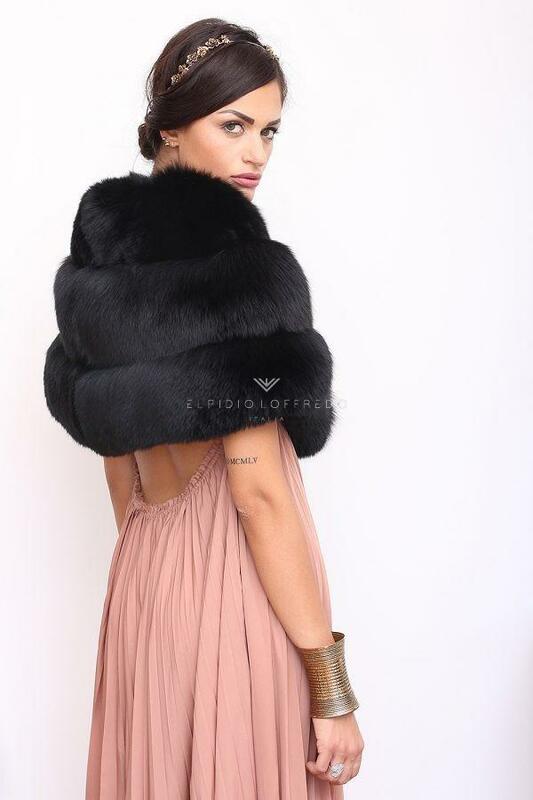 Elpidio Loffredo for the new collection has decided to create fur capes long even 115 cm, and with pockets in sight. Fur capes or fur ponchos? Mink cape or Fox cape? Fur cape or fur poncho? By doing a quick search on the web we can see that both search terms give numerous results, often confusing the end customer. 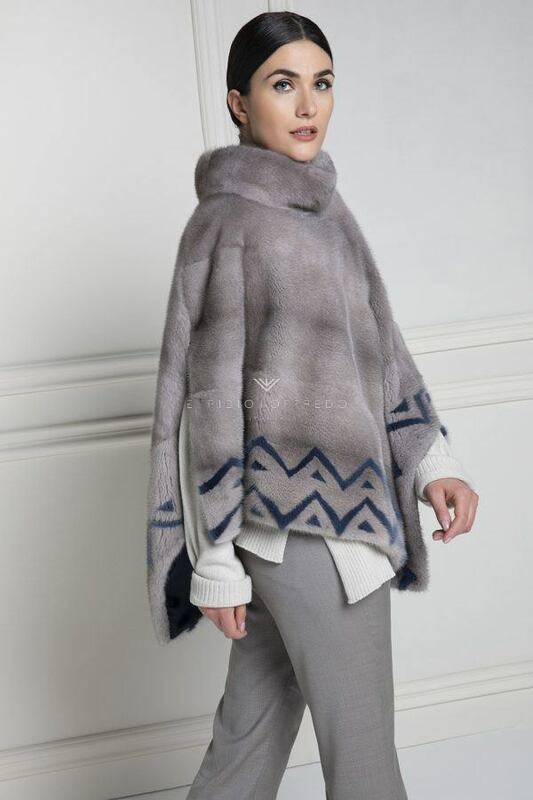 We can define fur ponchos all the models that have a passage for the head and two for the arms, without practically the classic closure with hooks or zip. The fur cape is instead the one that is usually placed on the shoulders, with a simple closure with hooks or a button, so as to make it go down very gently. 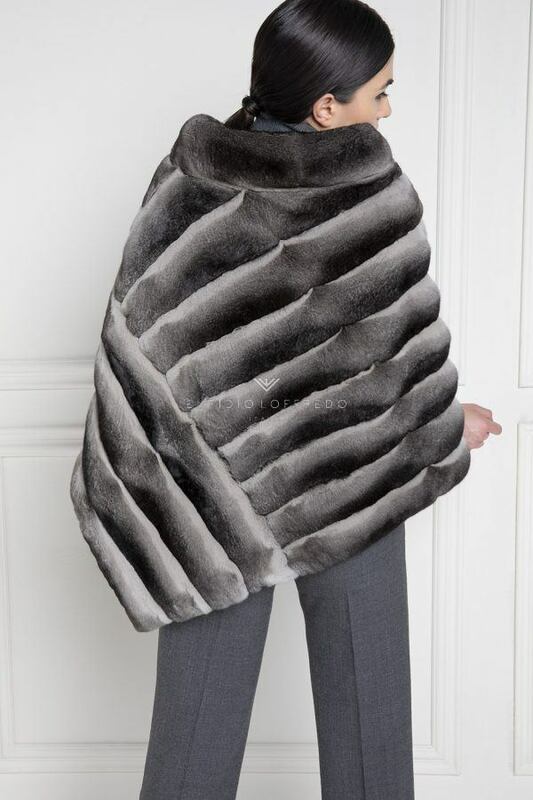 Obviously beyond the fur poncho, Elpidio Loffredo also offers to its customers fur-lined cashmere ponchos. 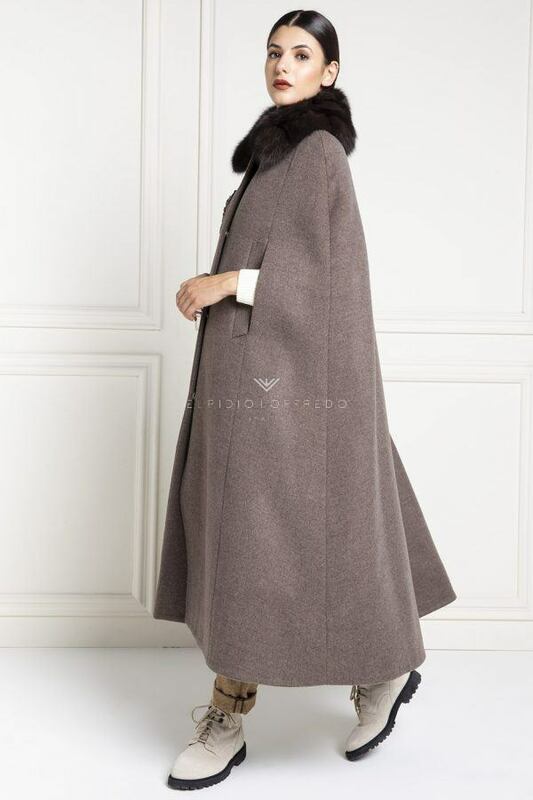 Also for the capes, Elpidio Loffredo has created several models of cashmere capes with fur, or capes with fur collar with very beautiful colors. The choice is always very difficult when you have to buy fur, especially when the fur collection offers a lot of trendy garments. Usually our customers are undecided between the mink cape and the fox cape. The main difference between the two types of capes is certainly in the length of the hair. The fox cape certainly has a longer hair, so it does not seem to be appreciated by those who wear a larger size. The mink cape instead having a lower hair tends to make the figure leaner. 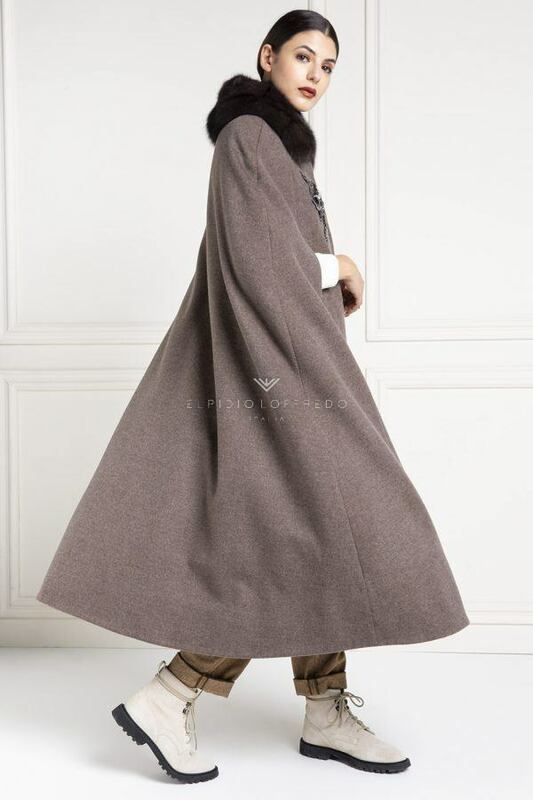 Obviously the models of capes can be made to measure without any problem. Usually the price of fur capes is mainly determined by the type of fur used for the creation of the cape. Obviously, the type of work carried out and the origin of the fur cape are also affected. Often online people are fooled by low prices and do not pay attention to the quality of the leather and especially to the origin. 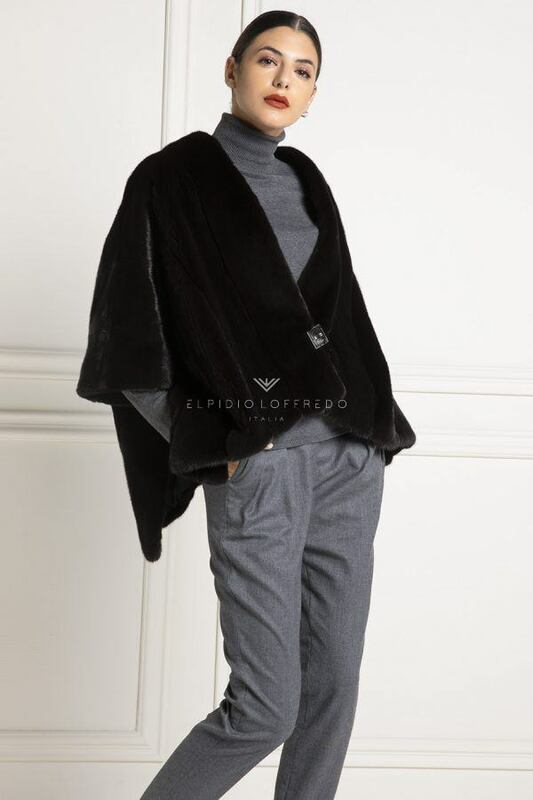 Elpidio Loffredo also for the fur capes offers a reasonable price, but a very high quality.